The 7th edition of the annual Airsoft Meetup is a go! Ladies and gentleman, the Hong Kong room has been booked. So we have a go for the 7th edition of the Airsoft Meetup during the IWA Outdoor Classics 2018 in Nuremberg Germany. 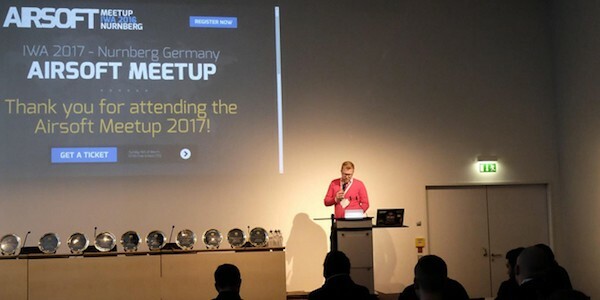 Thus, for all those in the airsoft industry and related industries, they can now start making plans of including the Airsoft Meetup in their IWA 2018 Calendar. As allways, Sunday afternoon 13:00 sharp (March 11th)! The Airsoft Meetup is an annual event for the Airsoft Media, Airsoft Community, and Airsoft Industry to listen to what the industry has to offer for year. In one room, we get to watch presentations of the various speakers from different companies and even airsoft organisations to what everybody in airsoft can expect for the year. There is no other event in the world wherein the airsoft industry can meet with a greater number of airsoft media representatives in one event and make their case.